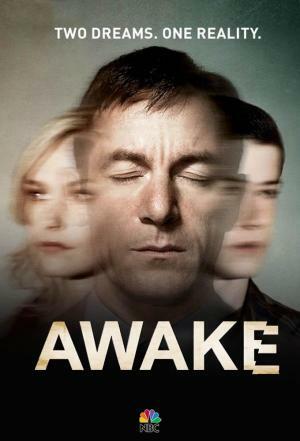 Rate "Awake (TV Series) (2012)"
TV Series (2012). 1 Season. 13 Episodes. Police detective Michael Britten (Jason Isaacs) regains consciousness following a car accident involving his wife Hannah (Laura Allen) and his son Rex (Dylan Minnette). Michael moves back and forth between two realities: in one, Rex survived while Hannah is dead; in the other, Hannah survived but Rex did not. Trying to keep both his loved ones alive, Michael starts living a "double life," moving back and forth between the two realities, dealing with different personal conflicts and police partners. He also starts noticing strange links between the two realities. "'Awake' grabs you, unnerves you, breaks your heart and even makes you work a little"
"Notwithstanding a certain stylistic chilliness and my sense of it having been pitched on the back of 'Inception', it promised to be one of the year's best and most interesting new series. (...) I'd say the promise has been largely kept"